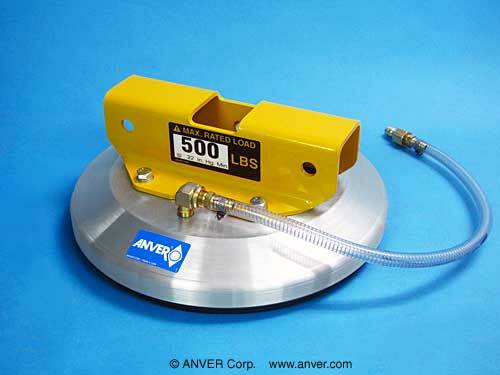 ANVER’s ANDURASOFT® foam seal vacuum pad attachments are designed for handling rough, moderately uneven load surfaces such as saw cut or flamed stone, rough wood, fiberglass web and concrete. They can also handle smooth stone surfaces if used for both smooth and rough stone. The ANDURASOFT® foam seals themselves fit into a double machined lip so they will stay on firmly even in the vertical position. 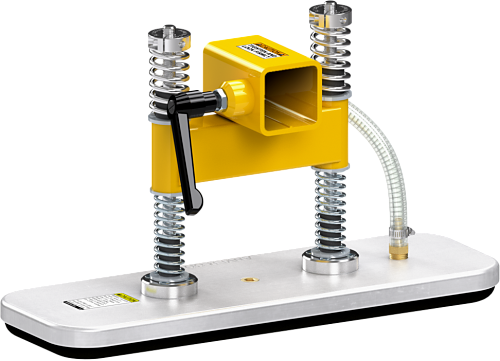 Changing seals can be done in under a minute by hand without tools making this system perfect for critical job site installation schedules. The economical replaceable ANDURASOFT® foam seals readily conform to rough, uneven surfaces to create as vacuum tight a seal as possible. The pad attachments are rated at a conservative 22″ Hg vacuum unlike the 24″ Hg used on traditional cups. They are then either divided by two for horizontal or four for vertical handling. Made in USA by ANVER. 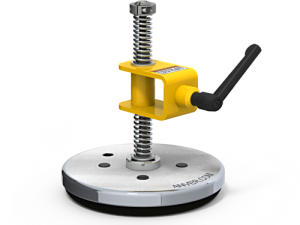 A range of Standard Interchangeable Pad Attachments with ANDURASOFT® Foam Seals which can be quickly changed as needed with a two nut-and-bolt mounting. Machined lip to ensure the seal stays in position. Long lasting foam seals handle both smooth and rough stone. Replacement seals are in stock for immediate shipping. NOTE: Any pad attachments used with EZ-Tilt-(Series) attachments MUST USE Vertical Capacity listed. NOTE: Any pad attachments used with EZ-Tilt-(Series) attachments MUST BE derated by 50%. *Replaceable Foam Seal. For information and application recommendations please visit web page. ** This pad is designed for domed shapes. The minimum radius this pad is capable of lifting is 15 inches. 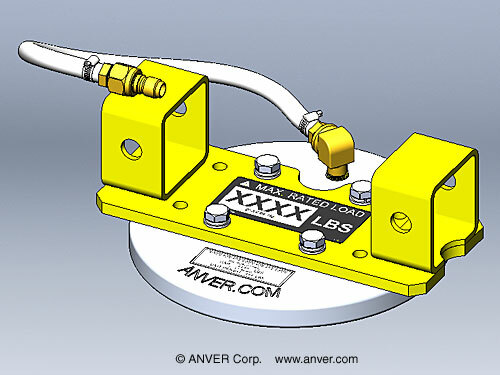 Note: The cup capacities shown are based on 22″Hg at sea level with a safety factor of two (2) in the horizontal (flat) and a safety factor of four (4) in the Vertical position. 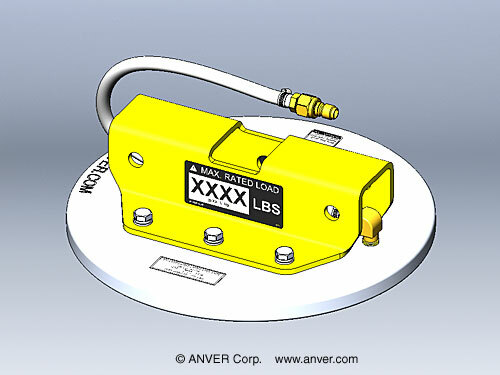 Rated Load Capacities are estimated and actual capacity will vary based on the load type and surface and the level of vacuum, altitude etc. Capacity rating may vary due to additional environmental, surface and/or load considerations. 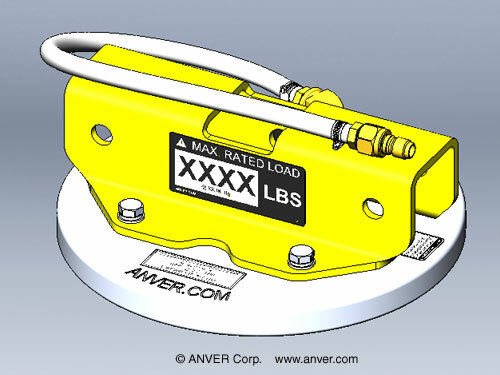 Extra capacity is always recommended when possible to increase the load holding safety factor.